Hello, I’m excited to be bringing you a documentary about the path that a New Hampshire man took to add his voice to the fight to legalize Marijuana in his state. 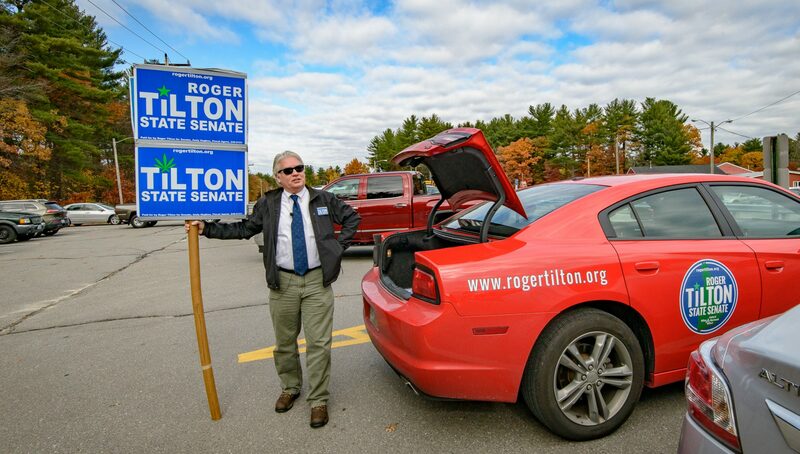 I followed Roger Tilton from the Boston Commons to the state house in Concord and across the country while he mounted his campaign. In the documentary, I’ll explore his personal fight to win a seat as well as explore with you how this can relate to you in your state. I have footage of what’s happening in Vermont, conversations at Hempfest in Seattle, and more. It’s 420 somewhere! This is an indie project to share one mans fight and the national flavor of the battle to decriminalize and legalize Marijuana. Adult use also known as recreational pot as well as medical marijuana are just two uses for the plant that brings us such a resource. Building material – Hemp- building homes, clothing people, providing bags, hats and so much more. https://vimeo.com/ondemand/126369/238836640 Coming to theater near you?… Read, talk, listen, watch…. Information is all around us. Some good and some not so good. The more you know the more you’ll start to see the trees for the forest. https://www.msn.com/en-us/money/markets/the-next-15-states-to-legalize-marijuana/ar-AAujS7H?li=BBmkt5R&ocid=spartanntp#image=AAujPMe|1 What’s next up in your state? If you are interested in helping to fund this effort, please contact me at 214-827-8301. You can imagine the hours of footage to go through and the ever changing positions that currently exist inside state houses from the East Coast to the West Coast.